Is phosphorus good or bad for you? Jan has been researching and writing about health and nutrition for several years. Is phosphorus really that bad? Phosphorus as a nutrient has got a bad reputation after researchers in a 2006 observational Framingham study (Massachusetts, US) have found an association between the consumption of cola, which often contains phosphoric acid, and low bone density in women. However, association does not already means a cause-effect relationship. According to the US Department of Agriculture (USDA), diet high in both phosphorus and calcium is not harmful for the bones. Diet high in phosphorus and low in calcium might increase the risk of osteoporosis, though. I have researched nutrients effects for the last four years and I have published an evidence based article about phosphorus. That article and another one from the Linus Pauling Institute (link on the bottom) contain references to claims I'll make in this article. Here, I want to present some possibly beneficial and harmful effects of phosphorus on health. What is the difference between phosphorus and phosphate? 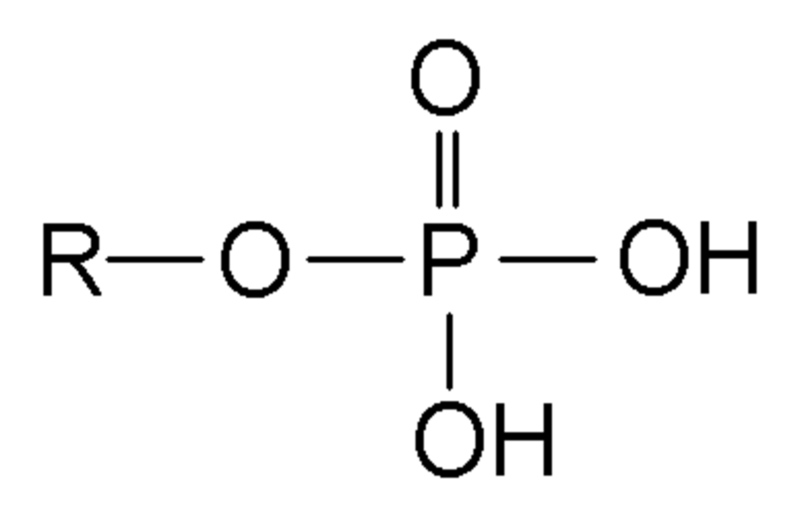 Phosphorus is an element while phosphate is a phosphorus salt, for example sodium, potassium or calcium phosphate. The names phosphorus and phosphate are often used interchanchibly, for example, you can say certain foods are high in either phosphorus or phosphate, or someone has either phosphorus or phosphate deficiency. 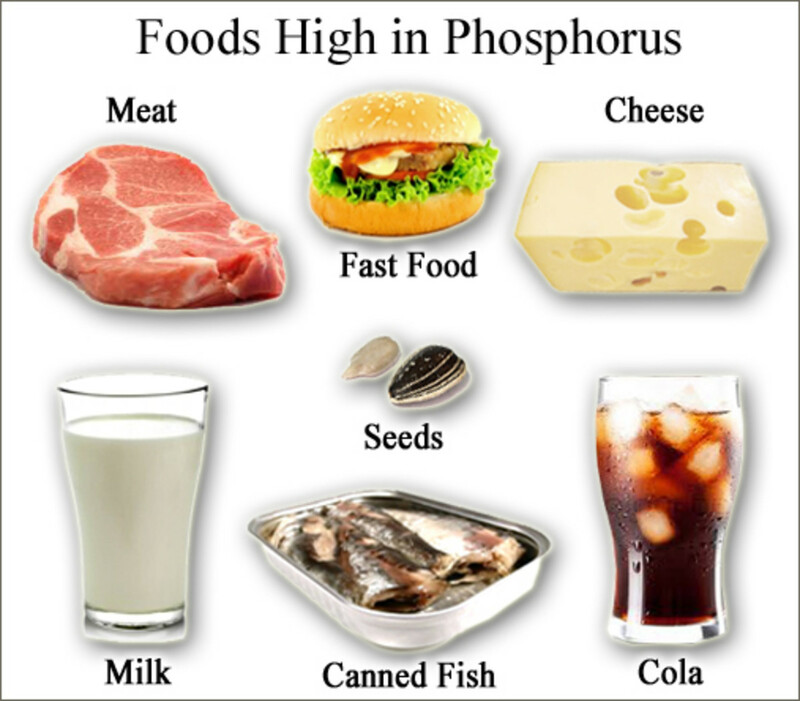 Phosphorus found in foods is usually in the form of phosphates. Phosphorus in the blood is in the form of phosphate ions. Phosphorus in the human bones is in the form of a calcium-phosphate mineral hydroxyapatite. NOTE: Elemental phosphorus, as found in chemical laboratories is toxic when ingested. Recommended Daily Allowance for phosphorus for adults is 700 mg per day. You can easily get this amount of phosphorus by eating variety of animal or plant foods. Processed foods (hamburgers, pizza, hot dog) are often high in phosphorus, because they contain meat and cheese with phosphate additives. Meatless (vegetarian) meatballs also contain phosphate additives. Most types of cheese, especially processed cheese, are high in phosphorus. Canned fish with bones are naturally high in phosphorus. Cola can contain phosphoric acid. Only about 10-50% of phosphorus from plant foods is absorbed in the intestine. About 50% of phosphorus from animal foods and 80-100% of phosphorus from food additives and supplements can be absorbed. So, certain foods with phosphate additives can increase your blood phosphate levels more than certain plant foods with higher phosphorus content. A healthy person who regularly consumes a variety of foods is very unlikely to develop phosphate deficiency or low blood phosphate levels. Acute and dangerous drop of blood phosphate levels can occur after quick intravenous glucose injection in individuals who were starving for a prolonged time, for example, due to chronic alcoholism or anorexia nervosa; the phenomenon is called refeeding syndrome. Interestingly, even a severe drop of phosphate levels often causes no symptoms. 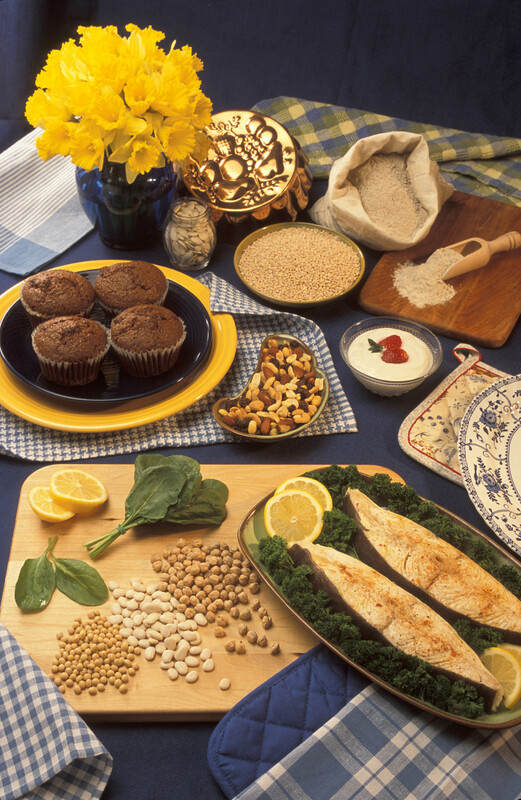 Chronic phosphate deficiency can develop due to impaired absorption, for example, in celiac or Chronic disease or vitamin D deficiency, in untreated diabetes mellitus or due to long-term treatment with calcium or magnesium supplements. Complications of phosphate deficiency include rickets (bone deformities) in children and osteomalacia (soft bones) in adults. Can you get too much phosphorus? No harmful effects of large amounts of phosphorus from foods have been firmly proven so far. An overdose of phosphate supplements could increase blood phosphate levels, but even severe hyperphosphatemia rarely causes any acute symptoms. Sodium biphosphate/sodium phosphate is used as a laxative as part of preparation for colonoscopy, or in order to restore bowel regularity after surgery. Phosphate can be absorbed in the colon and cause hyperphosphatemia, acute kidney injury or even death. 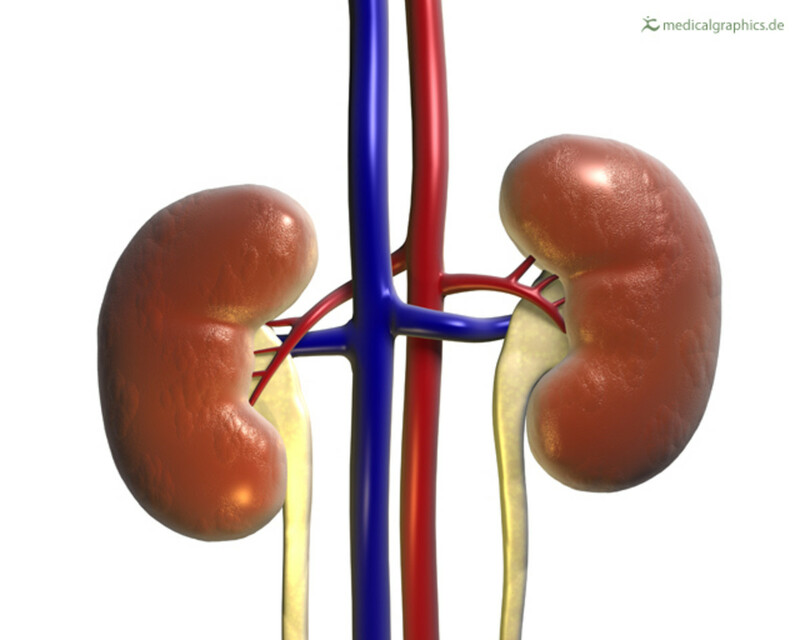 Does phosphorus cause kidney stones? Neither high nor low phosphorus intake from foods or phosphate supplements have been proven to increase the risk of kidney stones. A low-phosphate diet has not been proven to decrease the risk of infected phosphate-containing stones (struvite stones). 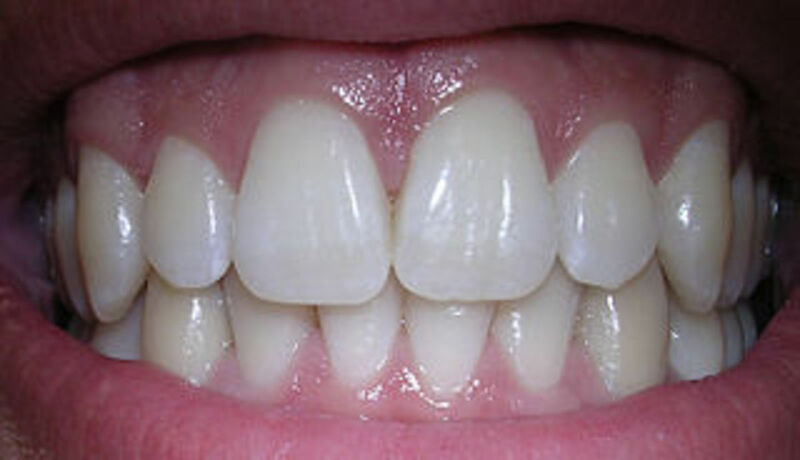 Tooth decay can start to develop when the pH of the teeth surface drops below a certain level (at certain acidity). 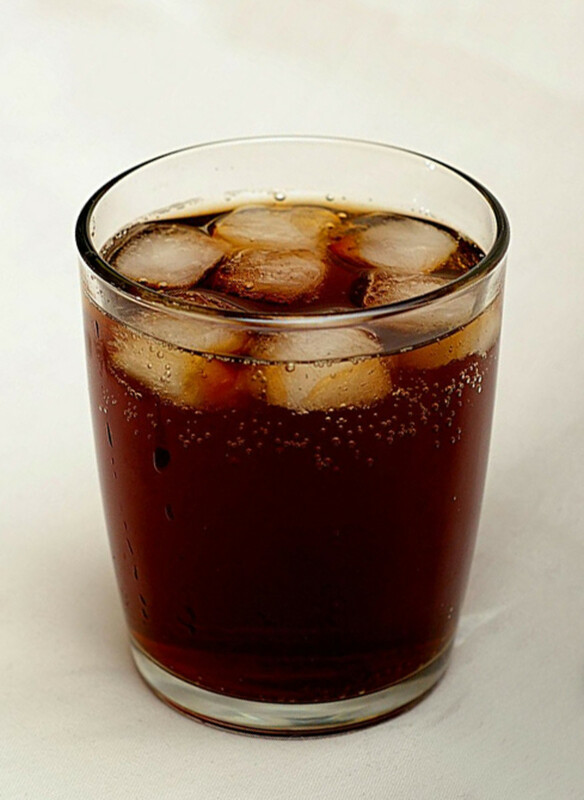 Contrary to popular belief, cola that contains phosphoric acid does not seem to be more harmful for teeth than cola or other beverages without phosphoric acid. The bacteria that break down sugar from foods into acids add more to the acidity of the tooth surface than phosphoric acid from cola. Is phosphorus : calcium ratio important? Phosphorus/calcium ratio in the diet does not seem to be important for bone health or health in general. Some individuals with chronic kidney failure, especially those on hemodialysis, may need to follow a low-phosphorus diet otherwise their blood phosphate levels may increase to unhealthy levels. In some studies, high phosphate levels in kidney patients were associated with increased mortality. The below video explains causes and treatment of high blood phosphate levels, mainly in individuals with chronic kidney failure. Phosphate binders (calcium acetate or carbonate, sevelamer hydrochloride, lanthanum carbonate) are drugs, which, when taken with meals, bind phosphorus from foods and inhibit its absorption. 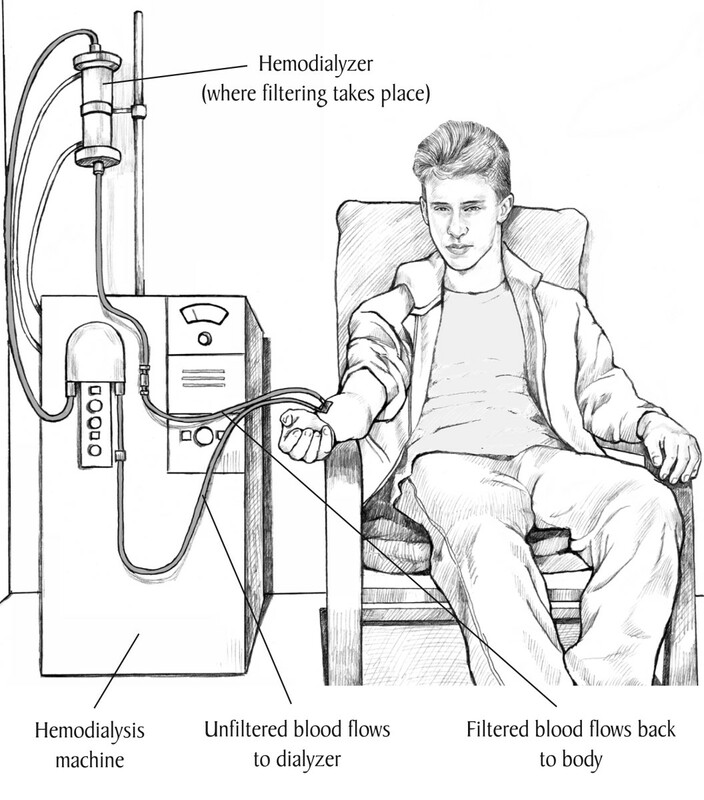 They help to prevent high blood phosphate levels in individuals with chronic kidney disease. Phosphate supplements are intended mainly to treat low blood phosphate levels. Healthy people, even those on restricted diets, such as low-carb or vegetarian diet, will very unlikely need phosphate supplements. There is insufficient evidence about the effectiveness of phosphate in treatment of sensitive teeth, heartburn, hyperparathyroidism, as a laxative for bowel preparation before colonoscopy, or in prevention of calcium kidney stones. 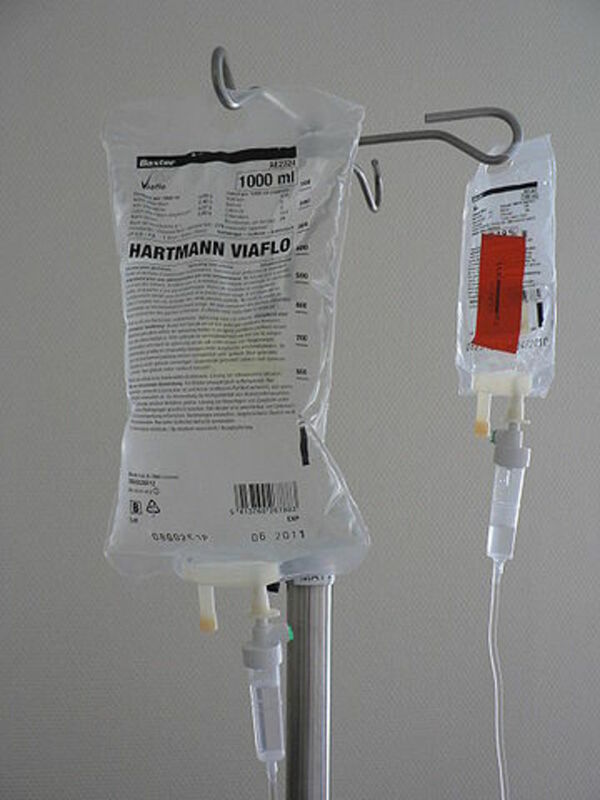 Intravenous phosphate supplements can be used to treat severe hypercalcemia. Side effects may include nausea, diarrhea, joint pain, muscle cramps, headache, irregular heartbeat and tingling around the lips. Rarely, various phosphate supplement ingredients can trigger severe allergic reaction (anaphylactic reaction) with hives, swollen face and lips and difficulty breathing. No harmful effects of phosphate additives in healthy people are known. Kidney patients may need to limit foods with phosphate additives (fast food, processed cheese, commercial baked goods) to avoid hyperphosphatemia. Have you ever change your eating habits because of news related to phosphorus? I stopped drinking cola with phosphoric acid. I stopped eating fast food. I started taking calcium supplements. You've maybe heard or read how phosphoric acid is bad for teeth and how phosphate food additives may cause osteoporosis. Neither of these claims have been proven so far. Health news and advertisement may affect your food decisions; the news may be evidence based or not. After reading about beneficial or harmful effect of any nutrient, have you ever made a decision to either start or stop to eat a certain food or to take a supplement? Phosphate additives in meat, cheese and cola have not been proven harmful, so far.